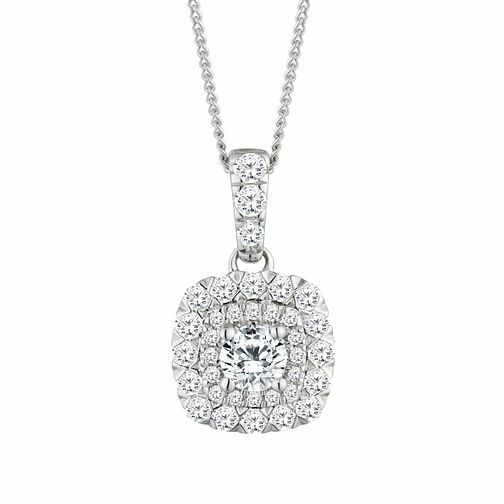 Add a sensational sparkle with this dazzling diamond pendant. Placed upon a 9ct white gold chain, this stunning centre-piece presents a round cut diamond, surrounded by more shimmering set stones. A beautiful pendant set to capture the light at every angle, aswell as capturing hearts. The total diamond weight of this necklace is 0.50ct.